What we want? What do we keep? What do we want? What do we keep? A graduate of the Northfield Mount Hermon School, Wake Forest University, and the University of Massachusetts Amherst (MA, 1966), Barr Gallop Ashcraft (1940-2005) lived what he called a “gypsy” life in the late 1960s, traveling through the Middle East, Africa, and Asia, and eventually settling on a career in photojournalism. As a stringer for news organizations and magazines, he covered the war in Vietnam, Cambodia, and Laos from 1972 to 1975, taking other assignments throughout Asia for magazines ranging from Life to National Geographic, Newsweek, and Time. For several years, he lived in Japan, working as a teacher, but returned to Amherst to join his father in the building trade. He remained in Amherst, lecturing occasionally on his experiences as a war correspondent, until his death at his home in Shutesbury in 2005. The Ashcraft Photograph Collection represents a small fraction of the images he took as a freelance photographer in Southeast Asia during the early 1970s. 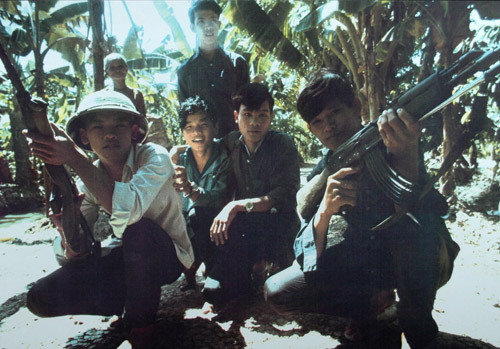 In both black and white and color prints, the collection provides stark and often graphic evidence of the destruction of the war in Vietnam, emphasizing its latter years and the period of Vietnamization, but also includes documentary work on Cambodia. The remainder of Ashcraft’s 22,000 negatives and accompanying notes were destroyed in a house fire in 1995. Born in Springfield in 1960 and raised in the Pioneer Valley, Mark A. Baszak received a bachelors degree in music composition and MEd. from UMass Amherst. Beginning shortly after completing graduate study, Baszak played a prominent part for over two decades in promoting the arts at his alma mater, serving as Acting Director of the Performing Arts Division (1987-1989), Coordinator and then Director of the Jazz in July program (1990-2008), Associate Director of Multicultural Programs (1993), and organizer of the Black Musicians Conferences and Festival (1989-1999). As an arts and culture representative of the Massachusetts Hokkaido Sister State Association in the early 1990s, Baszak helped foster exchanges between the sister states, visiting Hokkaido with the first official state delegation in 1991. Baszak died after a brief illness on September 25, 2008. Documenting the early efforts to build upon the 1990 designation of Hokkaido and Massachusetts as sister states, the Baszak collection includes materials concentrated on the first Hokkaido Week in Amherst and the delegation that accompanied Gov. William Weld to Hokkaido in 1991. In addition to correspondence and memos, the collection includes ephemera collected by Baszak during the various ceremonies and transcripts of speeches delivered. A pioneer in war and documentary photography, the Anglo-Greek photographer Felice Beato was an important chronicler of late-Edo and early-Meiji era Japan. Between 1863 and 1877, Beato took a stunning array of views, portraits, ethnographic images, and genre scenes and helped train the first generation of Japanese photographers. 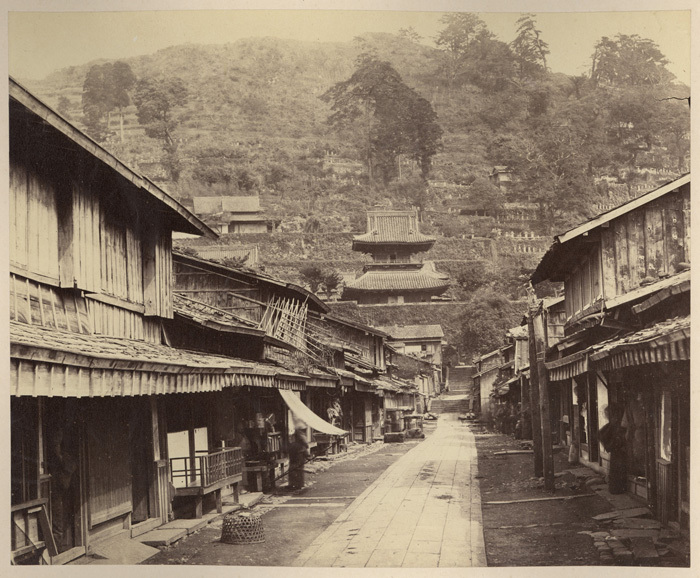 The Beato Collection includes ten images taken by Felice Beato in Japan between 1863 and 1871, including his famous view of Daibutsu, the Great Buddha at Kotokuin Temple, Kamakura; his view of one of the residences of the Shimabara clan; two very scarce views of a farmhouse and agricultural laborers, probably taken along the Tokaido Road; two views of Yokohama; and a fine view of a naval fleet at Nagasaki. A long time teacher in the schools in Amherst, Mass., Marybeth Bridegam operated tour agency, Cross-Culture Inc., from the late 1980s through early 2000s. Cross-Culture ran small-group tours of locations around the world led by local tour leaders and specialized guides that were distinguished by itineraries that included sites outside the usual tourist routes. The Bridegam collection consists of thousands of images taken by Bridegam during her travels, many in preparation for Cross Culture tour groups. Locations include China, Japan, Hong Kong, Australia, New Zealand, Scandinavia, and Russia. Printers and bibliographers use a bevy of terms to refer to works printed on one side (or sometimes both sides) of a single sheet, classified primarily by size. 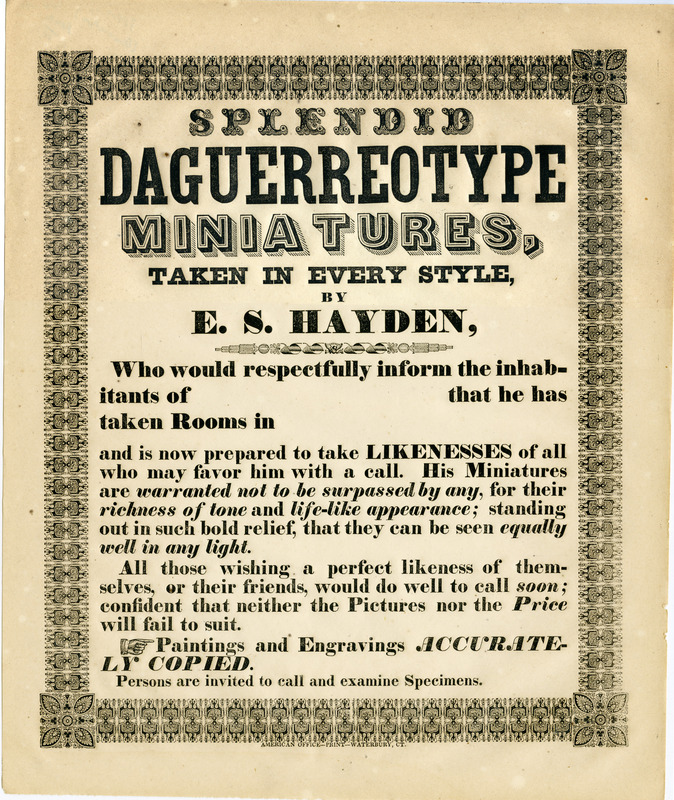 From large to small, posters, broadsides, and fliers refer to works used to convey a more or less focused message to an audience, often using illustrations or inventive typography to grab the attention. Posters from Communist world, with an emphasis on the political and cultural transformations of the late 1980s through mid-1990s. The majority of posters originated in the Soviet Union, although there are examples from East Germany, China, and elsewhere. 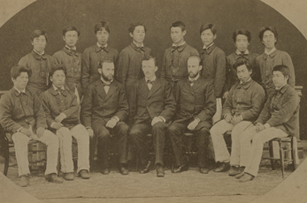 Two years after graduating from Massachusetts Agricultural College in 1875, William Penn Brooks accepted an invitation from the Japanese government — and his mentor, William Smith Clark — to help establish the Sapporo Agricultural School. Spending over a decade in Hokkaido, Brooks helped to introduce western scientific agricultural practices and the outlines of a program in agricultural education, and he built a solid foundation for the School. After his return to the states in 1888, he earned a doctorate at the University of Halle, Germany, and then accepted a position at his alma mater, becoming a leading figure at the Massachusetts Experiment Station until his retirement in 1921. Brooks’ papers consist of correspondence, photographs, newspaper clippings, an account book, and translations which provide rich detail on Brooks’ life in Japan, the development of Sapporo Agricultural College (now Hokkaido University), and practical agricultural education in the post-Civil War years. A twenty year-old from Swansea, Mass., Elisha L. Buffington took a grand tour of Asia with his uncle Elisha D. Buffington and aunt Charlotte in 1894. Spending two months in Japan, the Buffingtons traveled through China and the Subcontinent, visiting the usual cultural and historic sites as well as more unusual voyages to the Himalayas. Meticulously kept in two volumes (ca.381p. ), Elisha L. Buffington’s diaries record the impressions of a twenty year-old from Swansea, Mass., during his first voyage to Asia. Although the diaries do not cover the entire trip, they record details of two months spent in Japan, including an eyewitness account of the Meiji earthquake in Tokyo, and interesting visits to Shanghai and Hong Kong, Singapore, Sri Lanka, and India. The diary ends on December 27, 1894, when the Buffingtons were at Delhi. 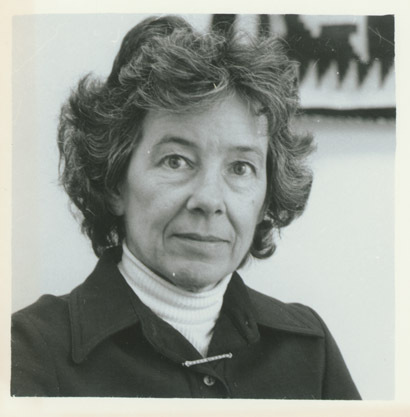 The founder of the the university’s International Program Office, Barbara Burn was widely recognized as an expert in international education. After attending the University of Michigan as an undergraduate, Burn received both her master’s degree and doctorate from the Fletcher School of Law and Diplomacy in 1955. She worked for several years on the faculty of the Foreign Service Institute and as a program specialist at the Asia Foundation before coming to UMass Amherst in 1968 to study the feasibility of developing an international programs office, after which she was appointed Director of International Programs and in 1988, Associate Provost. Under her leadership, the number of UMass undergraduates studying abroad increased ten fold. Burn died on Feb. 24, 2002, at the age of 76, leaving a son and a daughter. The Burn Papers include detailed information regarding the establishment of the International Programs Office, including background information and sometimes extensive correspondence with universities around the world. Approximately three quarters of the collection consists of alphabetically arranged files on foreign universities and subjects pertaining to study abroad, with particularly interesting material in the 1970s and 1980s on exchanges with the People’s Republic of China. Organized by UMass anthropology professor Joel Halpern, the images in this collection were put on display during the Cambodian New Year celebration in 1986. As part of the celebration, members of the large community of Cambodian refugees who have resettled in Amherst were recognized. 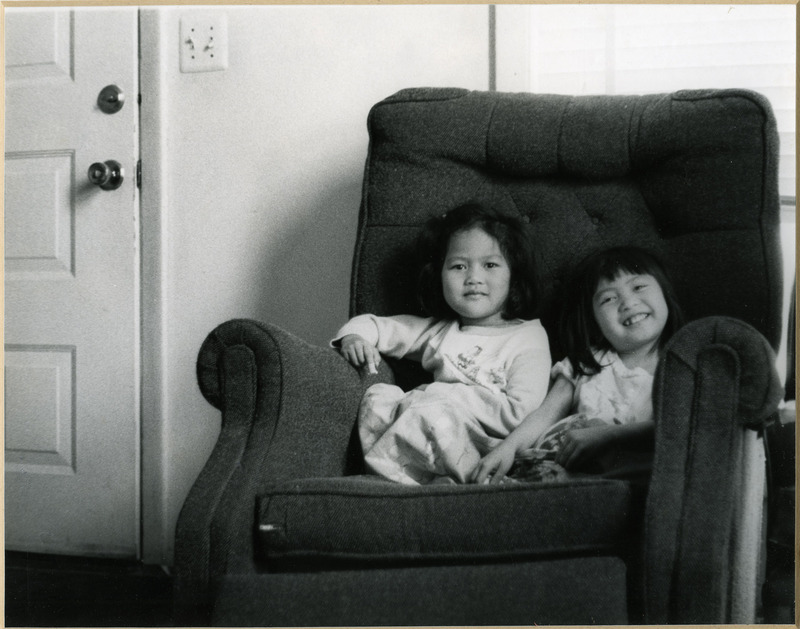 The collection consists of photographs as well as programs, correspondence, and financial records pertaining to the Cambodian-Americans in Amherst New Year’s Day Celebration and Exhibit of 1986. Anthony “Tony” Campano and Shizuko Shirai met by chance in January 1955 as Tony was passing through Yokohama en route to his new post in Akiya. Recently transferred to Japan, Tony enlisted in the U.S. Army a little over a year earlier, serving first in Korea. As their relationship blossomed, Tony and Shizuko set up housekeeping until his enlistment ended and he returned home to Boston. Determined to get back to Japan quickly and marry Shizuko, the two continued their courtship by mail, sending letters through Conrad Totman and Albert Braggs, both stationed in Japan. By the summer of 1956, Tony re-enlisted in the Army, this time stationed in the Medical Battalion of the 24th Division located in Seoul, Korea. There he remained until August 1957 when he was finally able to secure official authorization to marry Shizuko. Cutting their honeymoon short to deal with her medical emergency, Tony returned to his post in Korea. The couple reunited in November of that year after Tony secured a new assignment in Yokohama. The letters of Tony Campano to Shizuko Shirai during the year or more they were separated document their unlikely romance. Soon after Tony returned home when his first enlistment ended, friends and family tried to discourage him from pursuing a relationship with Shizuko. Despite their age difference–Shizuko was eleven years older– and the language barrier, the two ultimately married. In addition to the couple’s long-distance courtship letters, the collection also contains about 100 letters exchanged between Campano and Conrad Totman, dating from their early days in the U.S. Army to the present; taken together they document a friendship of more than fifty years.